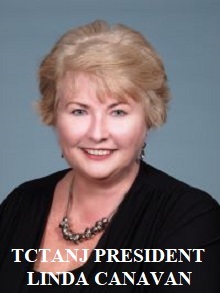 Your login information for the TCTANJ website is sent to you annually with your TCTANJ membership card and letter. Keep that information stored in a secure place. If for some reason you have misplaced your membership letter, which contains the current year’s login information, the process to have that information sent to you again is as follows: An email request (including your name, title, municipality and contact information) must be sent to: membership@tctanj.org Please be aware that it may take up to 30 days for you to receive your log in information. Our Association is comprised of over 1000 members for New Jersey’s 565 municipalities. Among our ranks, we have many of the state’s Tax Collectors, Deputy Collectors, Treasurers, Deputy Treasurers, Municipal Finance Officers and Utility Collectors. We also welcome vendors and suppliers to the industry to join as Associate Business Members. To achieve this goal, TCTANJ’s Executive Board, made up of representatives from every county in the State, meets several times a year to discuss matters like municipal finance, taxes, and legislative issues. Information collected at these meetings, along with other relevant news items from the industry and our membership, becomes the main content of our quarterly publication, The Criterion.